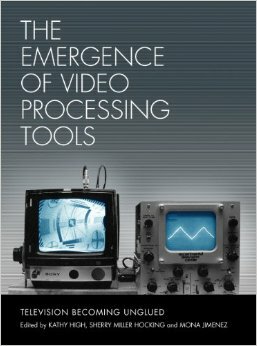 The Emergence of Video Processing Tools presents stories of the development of early video tools and systems designed and built by artists and technologists during the late 1960s and 70s. Split over two volumes, the contributors examine the intersection of art and science and look at collaborations among inventors, designers, and artists trying to create new tools to capture and manipulate images in revolutionary ways. The contributors include “video pioneers,” who have been active since the emergence of the aesthetic, and technologists, who continue to design, build, and hack media tools. The book also looks at contemporary toolmakers and the relationship between these new tools and the past. Video and media production is a growing area of interest in art and this collection will be an indispensable guide to its origins and its future. Contributors include Richard Brewster, Jon Cates, Michael Century, Michael Connor, Jeremy Culler, Lenka Dolanova, Carolina Esparragoza, Jean Gagnon, Ralph Hocking, Dave Jones, LoVid, Don McArthur, John Minkowsky, Timothy Murray, Marisa Olson, Christiane Paul, Hank Rudolph, Dan Sandin, Tom Sherman, Yvonne Spielmann, Steina, Carolyn Tennant, Jack Toolin, Woody Vasulka, Howard Weinberg, and Walter Wright. Discussed are designers and technologists including Shuya Abe, Jeremy Bailey, Steve Beck, Peer Bode, George Brown, Tom DeWitt, Phil Edelstein, Bill Etra, Carl Geiger, Bill Hearn, Phil Morton, Ted Nelson, Steve Rutt, Nam June Paik, Matthew Schlanger, Eric Siegel, and many others. See Intellect Ltd for the tables of contents. Intellect publishes a diverse range of academic books and journals in the fields of film studies, creative practice and cultural & media studies.